I've met some pretty amazing people over my life, and one of them is Janice Lynch Schuster. We used to work together and she is an incredibly creative and talented person with a big heart. While Janice is best known for her award-wining writings on healthcare and her column for Maria Shriver, she is at heart a poet, essayist, and artist. A writer all her life, Janice began drawing in her early 50s to help deal with the death of her grandmother. 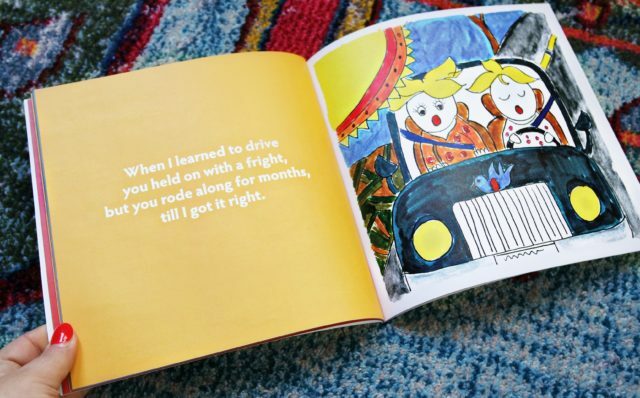 Her first illustrated book, What Are Mothers For?, was recently published. I found it odd that at the age of 53 I would begin to draw, but my mother, a professional artist, pointed out that poets actually describe images, and so my poet's eye–a dreamer's eye–is also an artist's eye. Written and illustrated by Janice Lynch Schuster, What Are Mothers For? is the first in a series about the people we love and live with. The story follows the milestones in our lives, from the first day of school to our first heartbreak, and from learning to cook to learning to let go. 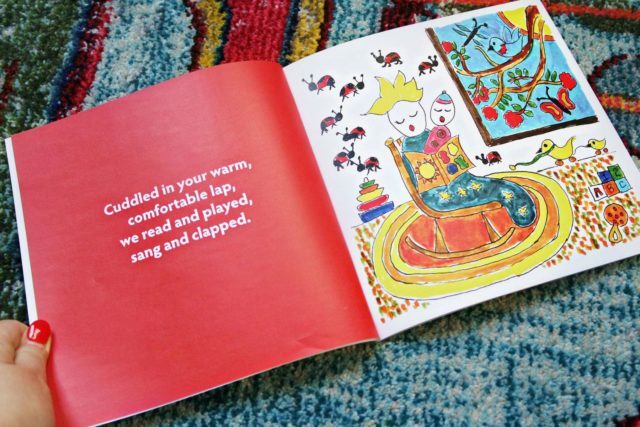 Twenty percent of proceeds are donated to Reading Partners Baltimore, whose mission helps struggling readers know and achieve the joy of reading. One Wardrobe Oxygen reader will win a copy of What Are Mothers For?, signed by Janice. This book will arrive before Mother's Day if you wish to give it as a gift. This is a book that would be appreciated by those of any age; I find the book sweet yet my daughter enjoys it as a bedtime read. This giveaway is concluded and the winner has been notified. This book sounds totally charming! My best friend’s daughter just became a mom 2 months ago; this would make a perfect gift for her. Thanks for your generosity!